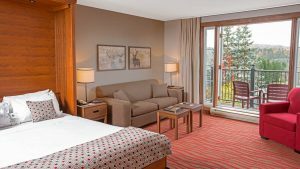 Offering you the most pleasant and warm stay is a must for Tremblant hotels and several of them have undergone renovations in the past years. We have decided to present images of the improvements. 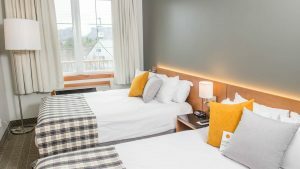 The first hotel to be presented is in its final sprint: renovations will be finished just in time for Tremblant’s 24h, on December 9 and 10! Let the newly refined and soothing colours of Lodge de la Montagne rejuvenate your heart and soul! 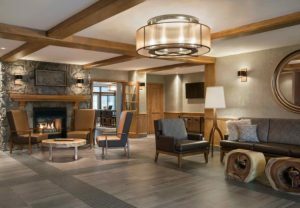 Freshly renovated in 2016, this hotel’s rustic decor was inspired by secluded chalet living. Escape with your family or group in this convivial and natural atmosphere. 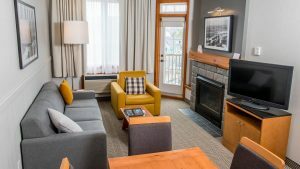 Following is a brief description of renovations done in other Tremblant hotels in the past few years. 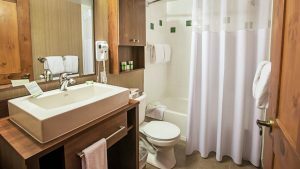 These improvements will allow you to fully enjoy your stay in Tremblant, in the comfort and elegance of a suite, a hotel room or a condo. 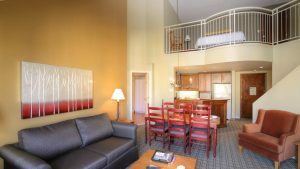 All rooms and common areas have been renovated, including the dining room, reception, lobby and exercise room. Outside, the fireplace and steps at the entrance were also redone. 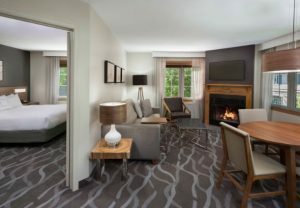 The Marriott welcomes you in a charming and modern rustic decor. The Holiday Inn is another hotel that was renovated from A to Z! Every single room has been redone. 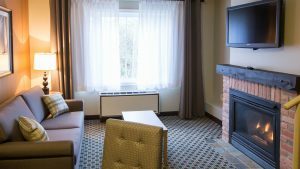 The warm colours and fireplaces are essential to living the ultimate winter getaway! 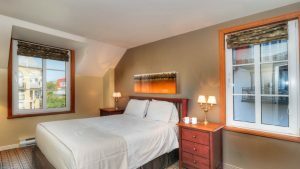 The perfect choice for a congress, meeting or office reception, all rooms of Tour des Voyageurs II were renovated based on its meeting rooms’ corporate concept. 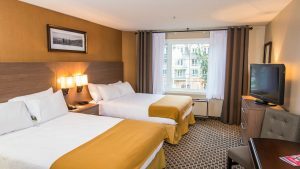 All you need to fully enjoy a business stay. You will be charmed by the splendid Westin Resort & Spa rooms. 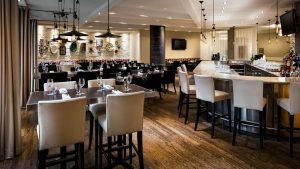 End the day with a delicious dinner in the in-house restaurant or sit in the bar section to enjoy a cocktail. The atmosphere of this hotel has been redesigned to satisfy your desires. 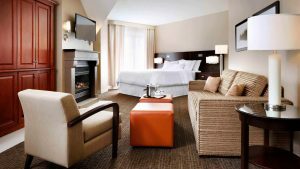 Fairmont Tremblant offers a truly refined experience. Room renovations were completed in 2014. Renovations are currently underway at Amerispa, which will reopen in early December. For 2017, major renovations are planned for the restaurant, the kitchen, the lobby and the lounge areas. Every room in Place St-Bernard has been modernized. Young adults and groups of friends will be able to enjoy and share a meal while taking advantage of the pedestrian villages’ effervescence. La Tour des Voyageurs I will be entering its renovation phase in the Fall of 2017.